So this year’s CES can basically be summed up in three words; wearables, stuff, and TVs. But as ever with these things, there were some gems. 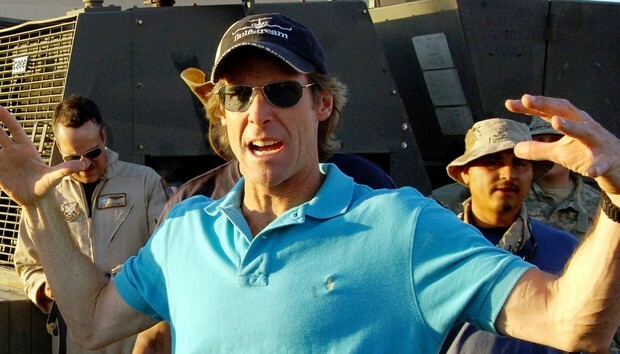 Michael Bay’s meltdown was impressive; though I can understand if he had stage fright – the sight of a pointless new breed of expensive televisions that probably did it for him. Nokia were luckily on hand to provide some advice for next time. Intel had a big one, showing off a host of gadgets and announcing it would no longer use conflict minerals in its chips. The problem was, they overshadowed their own attempts at making the headlines for the right reasons by giving everyone the perfect tabloid headline. So instead of everyone getting excited about Edison, the full Linux computer the size of an SD card that could really push wearables into the mainstream, the headlines went to John McAfee. The company announced it was retiring the McAfee name and rebranding it “Intel Security” but keeping the same red shield logo. Obviously everyone latched onto the chance to retell Mr. McAfee’s antics and his delight in being free of “this terrible association with the worst software on the planet,” as he put it. As well as a few of the projects we’ve covered in our Crowdsourcing articles there were quite a few interesting looking bits of hardware on show. Corning announced its anti-bacterial Gorilla Glass, allowing hypochondriacs everywhere to feel better about using their phones. Toshiba showed off a "shape-shifting" 5-in-1 convertible PC, while Razer revealed their very Tron-esque looking modular PC tower codenamed Project Christine. The murmurs about the second coming of the much-feared tech bubble are gathering steam. ‘Bubble 2.0’ sounds lame; I much prefer ‘Dot-Ly Bubble’, in the hopes of finally creating my own buzzword… But I digress. More evidence that we’re marching towards the tipping point is that 2013 was the busiest year for internet IPOs since 2000. 2013’s 26 companies is still well shy of 2000’s 89 or 1999’s 188, but still. Uh-oh. In related news, the people on the ground of Silicon Valley have money to burn. Stats from the Bureau of Labor show that the average weekly wage is almost double that of the rest of the country. Workers in Santa Clara County earn a mighty $1,810 per week, compared to $921 per week nationally. Yes, it’s an average so there’ll be few guys earning far more that and many more earning less, but that’s still a lot of Benjamins. Did you make any resolutions for 2014? The New Year always sees people re-evaluate their lives and makes lots of promises about bettering themselves. Tech companies seem to have done the same, with plenty of the big boys getting busy with acquisitions right out of the gate. Facebook bought Indian Startup Little Eye Labs, Oracle bought SDN tech maker Corente, Microsoft acquired customer service provider Parature, and of course Yahoo! carried on their impressive spending spree with smart screen company Aviate. Yahoo! also finally announced their plans for Nick D'Aloisio and the teen-millionaire’s news aggregation app Summly; a news aggregation app called The News Digest app. Another app that’s surfaced recently was Jelly, a social network from Twitter Co-Founder Biz Stone that lets users ask questions through pictures. Sounds wide open for abuse to me. Set 2014 off right; Recycle! Green IT is kind of like security; it never really goes away but nothing ever changes. A new report predicts that the world’s E-Waste will grow by 33% by 2017. So start recycling those old phones and laptops properly! In some good Green news though, Cambridge have a built a supercomputer labelled the "greenest of its kind." Built to help with the massive SKA telescope project, Wilkes has the power equal to 4,000 regular desktops, but only comes in at 166th place of the most powerful in the world. So will 2014 be Blackberry’s year? Er, probably not. The end of 2013 saw them cancel two upcoming phones and their yearly conference, and announce a whopping $4.4 billion loss. 2014 has already seen Alicia Keys leave her post as creative director and a lawsuit against Ryan Seacrest's startup, Typo, over him stealing their keyboard design. So what next? The company CEO John Chen has said the company will be profitable by 2016, and they won’t be budged form their QWERTY-loving ways. - NSA gets sued by liberties group; judge says it’s all good. - NSA intercepts laptop shipments and uploads Malware, also working on quantum computing because encryption is a pain to crack. - Which is why RSA were paid $10 million by the NSA so they could get easy access, something which the company denies. - The NSA spied on aid agencies, European officials, and Congress, would like to spy on you inflight if they could. And they’re not sorry. - There is a genuine fear about a Virtual Bin Laden. - Not even UAE satellites are safe. - Your iPhone is the NSA’s open book, Apple not happy. - Neither are important internet people, or the EU, who doubt “Terrorists!” is a good enough excuse, and have invited Snowden to the EU parliament to testify. - Snowden says all this has been an effort to improve the NSA. - Research says the cost of all this spying outweighs the benefits. - 25% of UK and Canadian businesses are moving data outside the US, many now have Keep-My-Data-Out-of-the-US clauses. Kanye West’s vanity is well documented, so it’s surprising to hear his lawyer wasn’t too pleased with the news that someone has made another Bitcoin clone called Coinye West. If you’re that way inclined, you too can put your face to a cryptocurrency; the Guardian did a nice piece on the subject. One music star in favour of Bitcoins is Lily Allen, who now regrets turning down a BTC payment of “hundreds of thousands of coins” about five years ago, which would now be worth umpteen millions. Whoops. Bitcoin’s value touched the $1000 again on the news that Farmville creators Zynga would accept the currency as payment, though the value currently stands around the $850 mark. Now it’s back in the headlines, Business Insider have made what can only be described as a surreal scene featuring golden coins and unicorns. Have a look see here. And if, after all that, you’re unsure if Bitcoin is ok where you are, there’s a map for that. Check out Bit Legal. The internet can be a weird place. But is it full of time travellers? Apparently not according to new research. Someone actually wrote a paper called “Searching the Internet for evidence of time travellers,” where scientists wrote up the results of them looking for information about events online before they actually happened. They even asked travellers to post the hashtag #IcanChangeThePast2” or “#IcannotChangeThePast2”. Interestingly, Google apparently isn’t very useful for identifying “prescient” information, but Twitter is. But they seem to be missing the biggest clue; surely Doctor Who’s Wiki page counts as evidence?